Getting big on a budget shouldn’t be stressful. 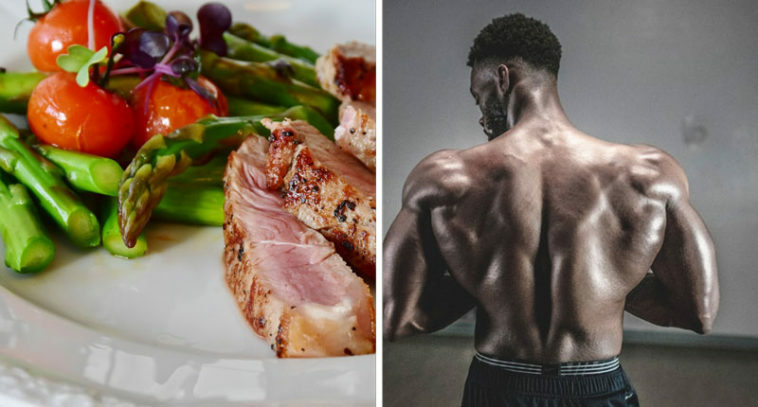 The issue is bodybuilders are bombarded daily with Instagram ads trying to sell them expensive diet plans. Everywhere they turn there’s another ‘essential’ $90 supplement they simply need to take too. Your first step is learning to cook at home. This is hands down one of the easiest ways you can save money instantly. Think about it this way. Every time you eat out, you’re paying a huge overhead for your food. You’re not just funding the ingredients, but the chef, the serving staff, property rent and utilities too. Oh, and add a tasty profit for the owner. Cooking at home allows you to control exactly what goes into your food. You can use budget bought ingredients without the markup, meaning you make your first savings. Instead of forking out highly-inflated prices you can cook with whatever deal you just bagged at the club store. Also, you’re not funding any other outgoings like staff wages or rent. All of a sudden, a spicy chicken salad that cost $1 to make costs a whopping $7. If you had the choice, which price would you pay? It’s a no-brainer. So, if you’re stuck in the habit of eating out – don’t. Save the food hall trips for planned special occasions. Meal prep is the bodybuilder’s hidden weapon. While the small-framed civilians line up for their sodium-stacked, sugar-filled sub, we’re sorted with containers of lean protein. Why wait to eat overpriced options when we have everything right here? Inside each box is exactly what we need to stick to our macronutrient plan. Not only does this help us stick to our budget, but it means we won’t have to settle for a second-best choice. But this is where meal prepping becomes budget friendly. Firstly, by buying your ingredients for the week in bulk, you make a saving. Grabbing items in larger quantities is an easy way to cut costs compared to smaller, individually packed ingredients. Next, meal prepping means you’ll never be caught out. 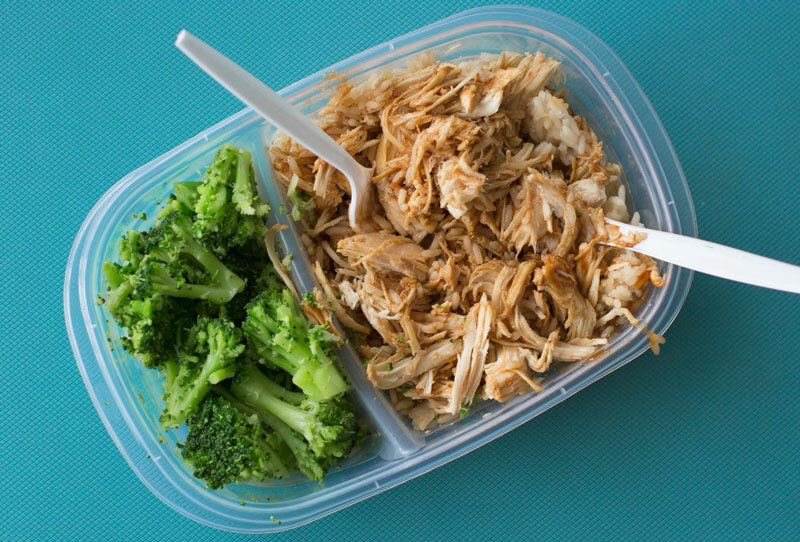 If you don’t have time to make your lunch, it’s easy to drain your wallet trying to find something that’ll fit with your food plan. Instead, you’ll have something healthy and nutritious that you made in advance. That’s why it’s a good idea to freeze extra meals with the macros clearly labelled on the side. This one is more of a hidden gem when it comes to bulking on a budget – no pun intended. Stores often offer discount when more of a product is purchased at once. So, when out grocery shopping, look for the bigger batches. Beans, brown rice, oat meal, sweet potatoes, peanut butter for healthy fats, and various protein sources are usually always cheaper bought in bulk. Just make sure that, if there’s anything perishable you cook it first and then freeze it for later. Now, a big issue budgeting-bodybuilders may face is protein. We all know it’s by far the most expensive macro, especially if you want quality. But it needn’t be. 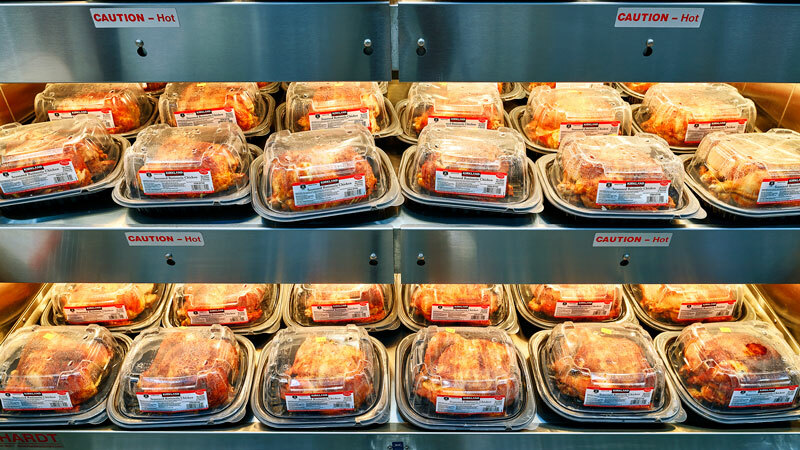 When purchasing chicken look to buy the whole bird rather than individual portions. Just remove the skin and bones during your meal prep process. Also, if you can’t afford to eat steak, look for lean beef mince. Minced meat is more affordable than premium cuts and is extremely easy to cook. Protein powders can be bought in bulk too. What you usually find is the more you buy in one go, the more savings you make. If you find a brand you particularly like order a larger tub and make it last. However, the most affordable protein purchase is canned tuna. Go for a multi-buy, low salt version and throw it on everything. Hell, grab a fork and eat it straight from the can with habanero hot sauce. You’ll have an awesome, spicy high-protein snack at a cheaper rate than some expensive shakes. Bottom line – buy in bulk wherever possible. While it might look more expensive on your initial bill it’ll save you substantial cash in the long run. Also, throw in big bags of frozen vegetables. They’ll last longer than the fresh variety, are cheaper, and will supply essential micro-nutrients for muscle growth. Ask yourself this, do you know anybody with a store club card? If so, borrow it! Club stores offer huge discounts compared to regular chain store prices. The likes of Costco and Sam’s sell their stock at a trade price, which is way cheaper than your regular grocery stop. But sometimes joining these clubs can cost cash you just don’t have. There’s not much point paying the fee if it’s going to send you overbudget, right? That’s why we say ask a friend or family member if you can borrow their card. Even better, ask them to come along too. We know you’re a big guy, but you might want a hand with your bulk-buy bags. Once inside make the most of your gifted opportunity. Buy in bulk wherever you can so your stock lasts a long time. Not only will this save you from asking for the card again but gas money too. If you must go to more than one store, try to pick two near each other. Also, when grocery shopping, keep an eye out for canned goods too. These are usually more affordable than fresh produce and are suitable for mass storage. It doesn’t take much effort to crack open a can of vegetables or fruit and add the contents to a meal. Just try to choose low-sodium options whenever possible and aim to buy fruit without added sugar. If in doubt, check labels or scan barcodes with MyFitnessPal. You’d be surprised how many budgeting bodybuilders forget about flavor. But the truth is it isn’t a luxury reserved for the rich and famous. Condiments are your taste bud’s best friend. 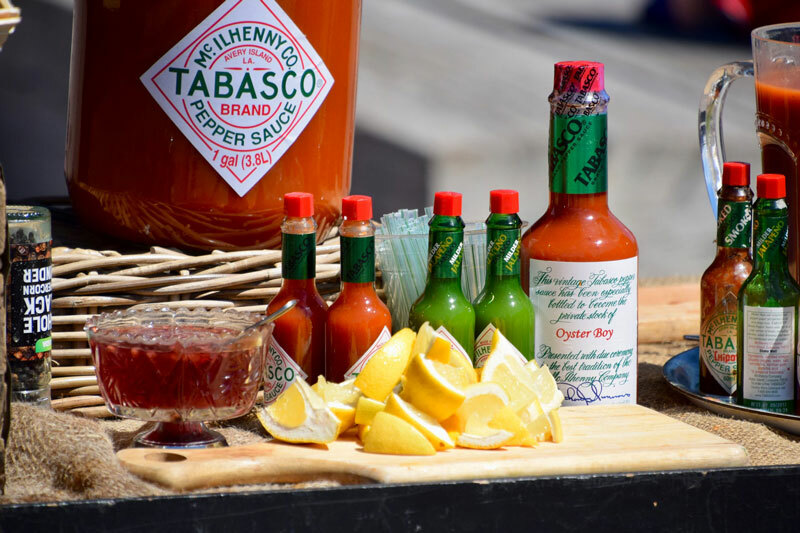 Stock up on the likes of hot sauce, BBQ sauce, mustard and ketchup. They’re inexpensive and can bring almost any meal to life. Why not grab a can or two of pasta sauce while you’re at it? Even if you don’t use the whole thing during meal prep you can save leftovers in a plastic tub. Don’t forget the spices either. Throwing in something hot, sweet, or tangy in the form of spice costs cents per dish. Suddenly, a bland chicken breast comes alive with flavor when rubbed with paprika and coriander. Damn, there’s nothing quite like a Cajun and cumin dusting to give those sweet potatoes a kick. You don’t have to go for the expensive eye-level brands either (this is where stores display their pricey goods). Search for the local stuff, get to know the guy who owns the spice store, or make homemade sauces to save even more cash. One thing that might be taking your budgeting to failure every set is bad habits. We’re strictly talking spending habits here, something that we don’t always realize we have. Ask yourself where you’re spending an extra dollar or two a day. Do you routinely grab a coffee on the way to work despite it costing five bucks? 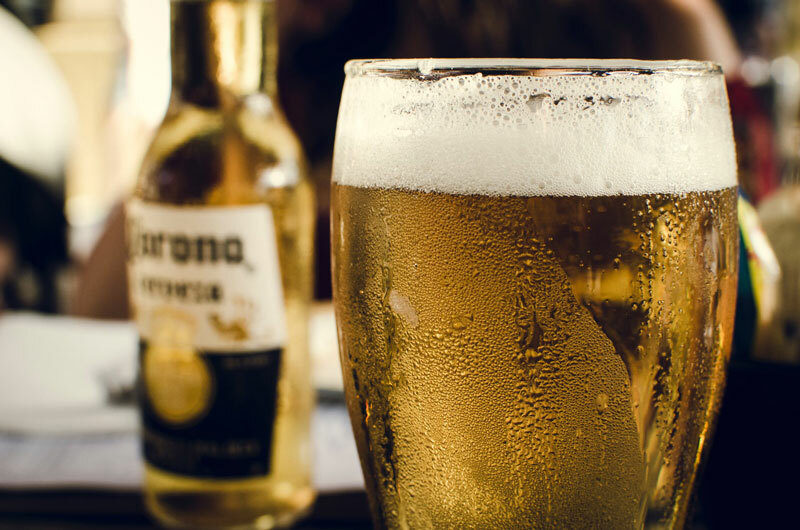 Are you often found in the bar once Friday night rolls around? Maybe it’s just an afternoon soda from the college vending machine. Still, if so, you’re probably breaking your budget with bad habits. But don’t stress too much, because you’re about to make some money moves. It’s time to get busy with a few positive changes. A good thing to do is track your spending for an entire week. Don’t do anything different, just keep receipts or a tab on your phone. Then when you get some time the week after, add it all up. Even better download an online banking app so you can track spending in real time. It’s shocking how much money we just let go of without realizing it. If someone were to suggest we spend the same amount all in one go we’d probably hesitate. Depending on your situation you might outright refuse and kick them out of the gym. They’re obviously crazy! Are you’re serious about bodybuilding but must stick to a budget? Yes? Break your bad habits. The odd dollar here and there soon adds up to a stack of supplements or 10-pound bag of frozen chicken. Bulking on a budget doesn’t need to be hard work. 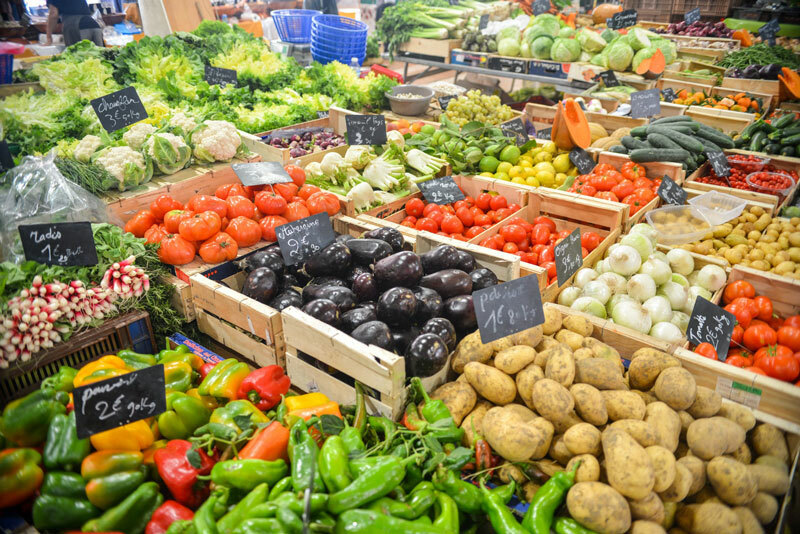 You just need to be smart about what choices you make and become savvy in the grocery store. The key point to take away from this whole article is to take ownership. 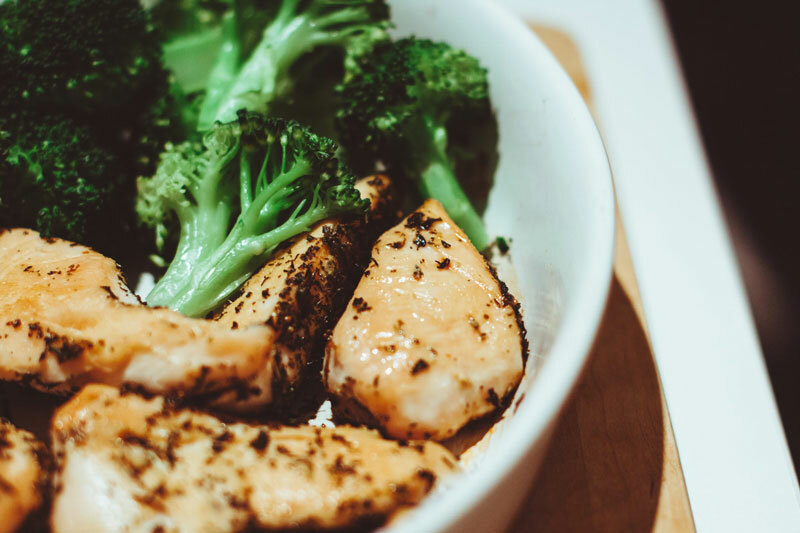 You’ll be able to afford to eat high-protein, healthy, and nutritious meals if you simply cook for yourself. Forget the food outlet for a while and get your culinary skills as good as your bicep curls. Don’t pay someone to do what you can do for free. Your next priority is to be smart about how you shop. While organic and grass-fed is better it also costs more. Borrow a club store card, hit the discount aisles, and buy in bulk to save cash. It doesn’t hurt to get friendly with your local butcher either. How about an athlete sponsorship to showcase his finest cuts? You can give him exposure online for a discount in store. Finally, break any bad spending habits right away. If you’re serious about this bodybuilding game, you can live without the luxuries. For a while at least anyways. There’s nothing stopping you picking up your favorite Starbucks once a week or more regularly when the cashflow opens. Good luck bulking on a budget, brother. If you need us, we’ll be over there lifting those giant sacks of instant oats.